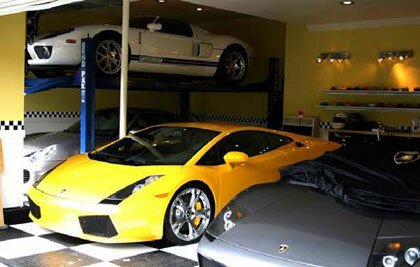 Detailed images that compare the superior quality of BendPak car storage lifts to Backyard Buddy car storage lifts (a competing brand). The information posted below is based on the side-by-side comparison study administered by BendPak®. Statements attributed to Backyard Buddy™ are taken from their website and other marketing materials. prices consumer are being quoted. Always study thoroughly, then look, compare and decide. BendPak has 72 unique lift models in their lineup ranging from lightweight to super-duty. 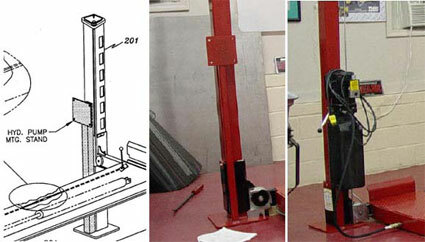 BYB could not come close to a fraction of lifts BendPak sells globally - and not just “hobby” lifts. Investigate thoroughly on the web using various search engines to see how many pages BYB appears on compared to a true world-leader like BendPak. 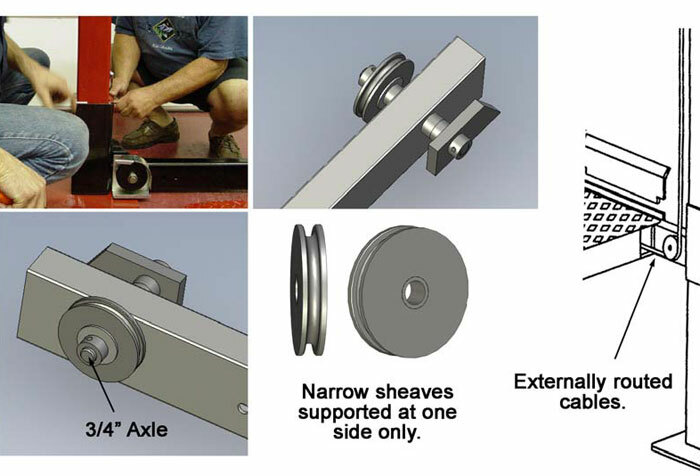 BendPak can supply these valuable options as ll. BendPak has over 650 installation and service centers located in the United States - fully equipped installation and service centers with truck fleets that make a living installing and servicing large car dealerships, national accounts, auto repair centers and occasional auto enthusiasts and DIY’ers. 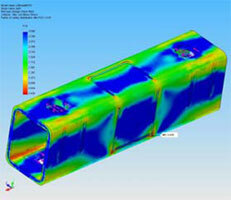 BendPak has a staff of seven full-time engineers who do nothing but design, test, and evaluate lift systems. programs. After the design is sound, they proceed with actual destructive (physical) testing. count on BendPak to deliver their promise of total customer satisfaction. ample cable guard to prevent unintentional displacement, and more. Claims that state "Meets or Exceeds Standard ANSI/ALI B-153.1" are meaningless. This standard no longer exists. except ANSI/ALI ALCTV. In order to meet ANSI/ALI ALCTV, Certification is required. Look for the Mark. the various standards developed by ALI. fictitious and created merely to confuse purchasers, users and inspectors. 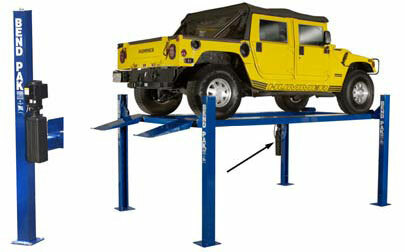 although a lift component may “look like steel”, what kind of steel is it? GB/T 699 15Mn steel - 59,000 lbs. into thinking that just because it costs more, it must be better. storage racks, highway products, and bridges. process, cold-formed steel possesses one of the highest strength-to-weight ratios of any building material. or warp as time goes by. approximately 40-60% of the total steel used is cold-formed steel. companies choose alternative methods of manufacturing? location, with all the hammering and banging going on, their BendPak lift was never anchored to the floor. 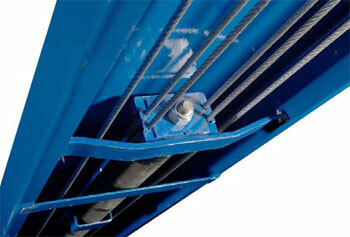 BendPak lifts do not incorporate an “anti-spread” bolt and are not prone to “opening” when loaded. would be significant at all to warrant excessive design(s). 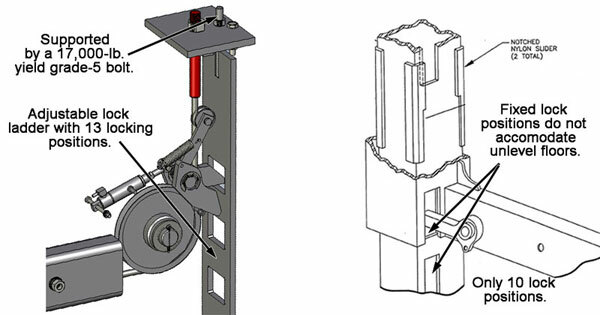 The columns on all BendPak four-post lifts were tested and certified at 27,000-pounds are designed with a safety-factor that far exceeds 300% of the rated load capacity required to meet ANSI/ALI ALCTV-2006. but internally as opposed to externally. The “plastic” for BendPak sliders is not “plastic” but rather UHMW (Ultra-High Molecular weight) Polyethylene. simply guides that keep the cross tubes and safety ladder centered within the column and minimize sway. cross tube components and plastic sliders. design feature are more apt to seize should an unlevel situation occur. Here are a few threads I posted on my Bend Pak HD-9 installation. 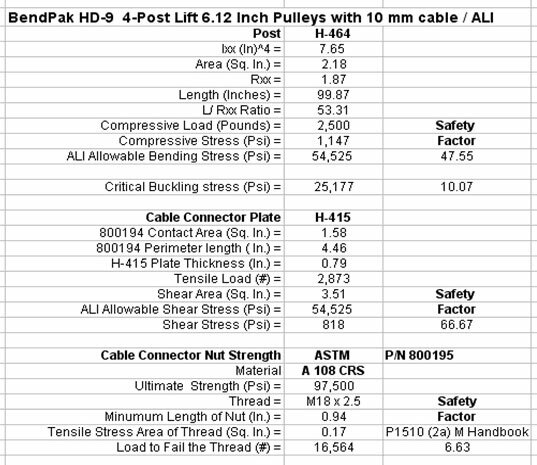 I will only speak to the two types / brands of 4-post lift I am most familiar with - the AutoLifters which a friend of mine owned (AL now out of business but being produced by former AL employees - same design as the BYB) and the Bend Pak HD-9 I currently own. I spent many a weekend under the AutoLifters (7K lb. cap.) over a few years and have owned my HD-9 (9K lb. cap.) for a year now. no side load on the posts and certainly nothing to splay the channels apart during raising or lowering. Basically, they are cable and pulley systems with crossbeam and column supports to manage the transmitted loads. What's important is that the members remain stationary (rigid) and no one corner binds - or lets loose - during the lifting or lowering process, destabilizing the equilibrium enough to allow one of the posts to tip too far. 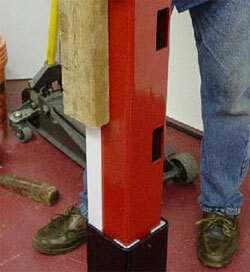 The posts can actually tilt in/out a certain amount without destabilizing the lift and toppling it. I've seen this happen twice in person - once on the AL lift when one of the manual lever-actuated locks didn't engage while lowering and the other the first time I actuated my BP and one of the cables was still too loose. Both times, the tilt in the post was completely recoverable because the lift was not allowed to travel beyond one lock level. Remember that the entire mechanism is tied together with a tensioned cable system and tends to want to stay tied together rather than spread out. to drop uncontrolled. This was the failure suffered recently by an AL lift with pictures posted here. I'll qualify that link by saying that could have been prevented with proper maintenance and replacement of a faulty pulley setup that the manufacturer warned of. But it does illustrate that, ultimately, it's up to the owner/operator to safely install, maintain and operate his lift. 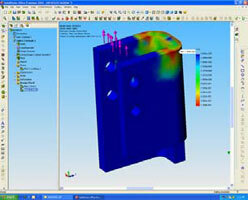 Also, high quality components and construction are vital when weighing the issues of cost and safety. My Bend Pak is made in America with solid engineering backed by decades of commercial lift design and construction, high-strength, highquality components and great workmanship, including beautiful welds. The cost was comparable to the competitors too. I spent a lot of time researching lifts before ordering mine and I still believe I'd make the same choice today that I did when I chose the BP. Others have their own thoughts and opinions - and requirements. My decision was between the All American, the Revolution (Rotary), the Backyard Buddy and Bend Pak. Cost was not the primary factor, safety was. Check all the certification and testing that a manufacturer does on its lifts - that alone is a very educational process. Whatever your choice is, have a healthy respect for the potentially dangerous piece of heavy equipment that a lift is. 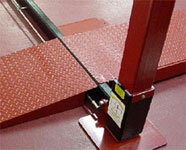 Safety should be foremost on your mind always when working around a lift. That behavior alone should keep it a safe and fun piece of equipment to own. Loads are insufficient enough to cause any spreading so continuing to highlight this feature is solely propaganda. 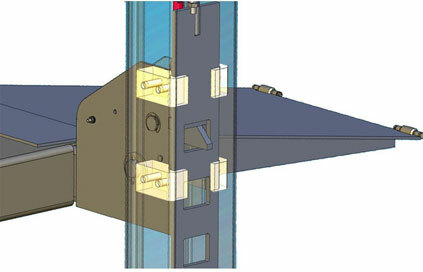 However, because of their external tube sliders, BYB can’t mount their 95-pound power unit securely to a column - instead it is mounted on a wobbly motor stand that is positioned uncomfortably low (they make the pole stand short to minimize flex) causing operators to slouch when reaching for the controls. perpendicular to the load path at all times. ANSI/ALI ALCTV-2006, with a safety factor that exceeds 300% rated load capacity - enough said. 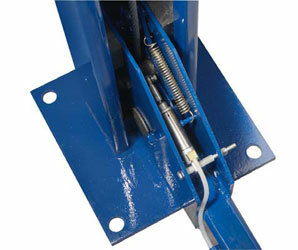 All of BendPak lift cylinders use internal flow-restrictors to prevent rapid fall in case of a hose or fitting failure. at its rated load capacity. employ eight independent safety lock devices, four primary and four back-ups. or other external tube designs. more prone to seizure and failure. Can you really see the far corner with a vehicle in the way? BendPak features 13 adjustable lock positions providing greater versatility and storage height coverage. 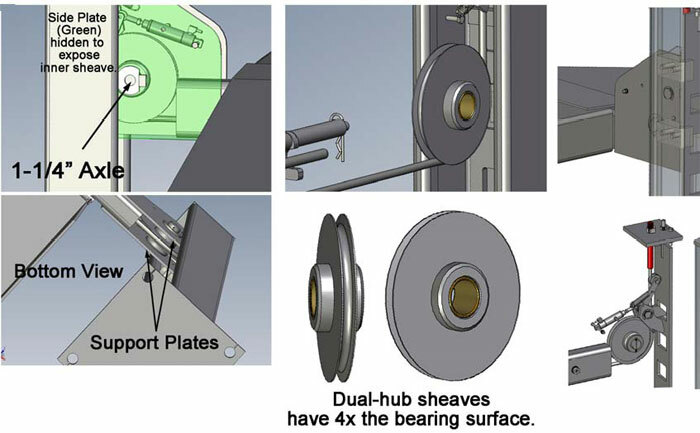 BendPak does not incorporate welded-on blocks as a stop device. No lateral movements (sway) with virtually no chance of falling. 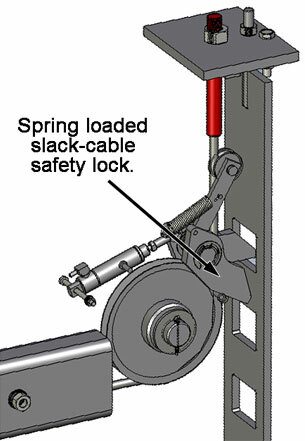 Steel locking insert goes into the leg cut out and the steel slider jacket rests on this to create a "fused" system for holding your lift in the exact position you intended. 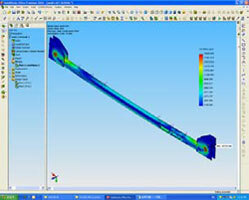 strength, but to add more surface area on the bearings to minimize friction wear. also keeps the sheave roller in place. rails of the runways to ensure the cable block remains square at all times. 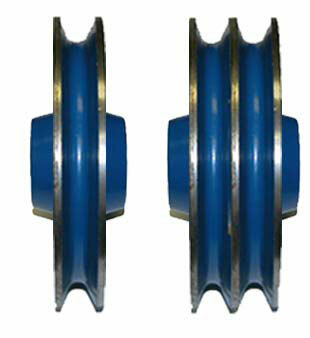 Lifts that do not incorporate this device can experience cable block misalignment (the cylinder rod tends to rotate as the cylinder moves due to the inherent nature of the cables trying to “unwind” and/or the rifling surface inside the cylinder bore) which ultimately causes premature wear of cables and/or sheaves. 400% more bearing surface area for increased life and durability. 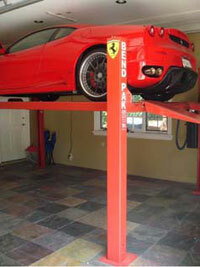 the cross tubes and columns and are void of clumsy linkage rods and external safety locks.